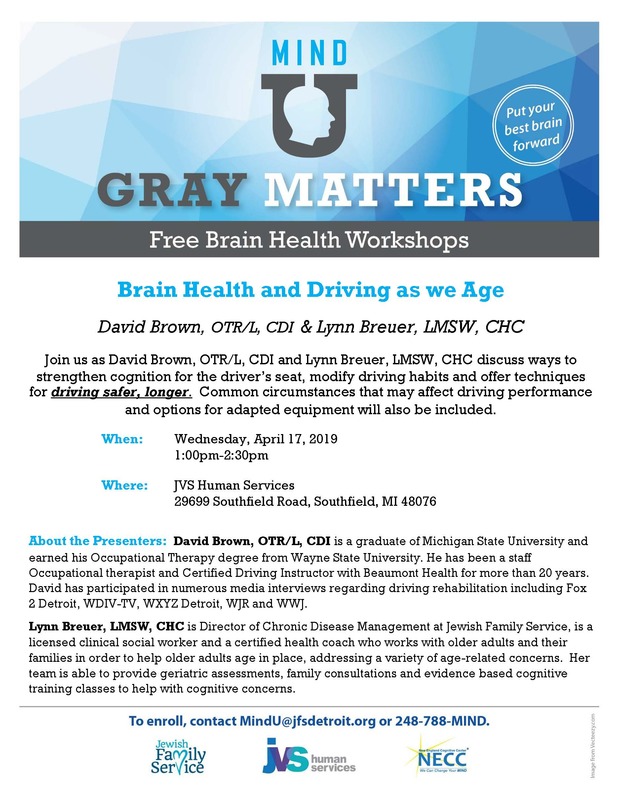 Join occupational therapist David Brown and licensed clinical social worker Lynn Breuer as they discuss ways to strengthen cognition for the driver’s seat, modify driving habits, and offer techniques for driving safer, longer. Common circumstances that may affect driving performance and options for adapted equipment will also be included. RSVP at MindU@jfsdetroit.org or 248.788.MIND.